The New Year always invites reflection on what transpired over the previous 12 months. I won’t bore you with last year’s personal scene so let’s have a look at what occurred in my small sliver of the classic Mercedes-Benz world in this 2018 market review. At L.R. Spencer Co, it’s all about sales and sales begin with acquiring cars and acquiring cars begins with a phone call. I don’t buy cars at auction and rely on 20+ years of online presence and client referrals for my inventory. I have to admit that I have not had to actually look for a car in some years. That will have to change in 2019 as I was only able to acquire 51 cars in 2018. The majority of my time is consumed with overseeing the reconditioning of the cars, many of which I’ve illustrated below. 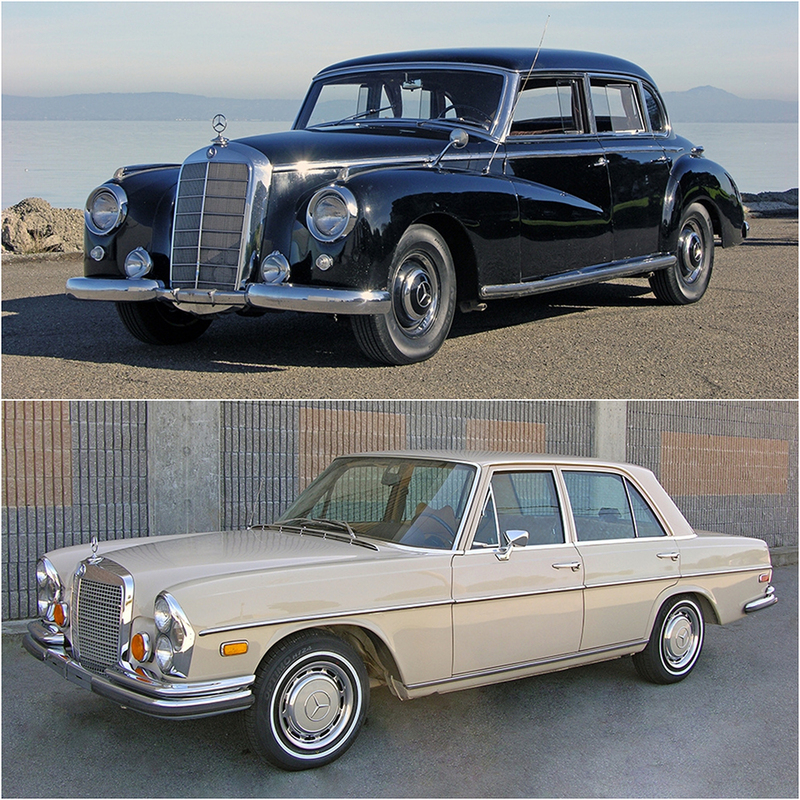 Maintaining the MercedesHeritage.com website, writing newsletter articles and keeping up with email correspondence seems to soak up the rest of my time. Trucking consumed about $40k last year and I’m slightly embarrassed to say that I spent $3,000 to get a rare European 1972 250CE off Cape Cod and out to me. I love the car and it would still be marooned on the Cape if I had not raised the trucking bid. I’ve learned that truckers avoid certain areas of the US and trucking delays due to scheduling/weather were a major drag on sales last year. My friends at PlyCar were a great help coordinating all of the enclosed carrier shipments while a respected broker handled the open carrier shipments. Today, middling examples of interesting Mercedes types are languishing unsold while the great cars defy general price trends and find homes. We’re now fully 4 years beyond the collectible Mercedes market’s most recent medium (5 year) term peak. Values from the 2015 Scottsdale auctions are widely acknowledged as the recent benchmark from which most blue chip European collectible cars have retreated. It’s not hard to document this decline and broadly speaking, 30% is a good estimation of value declines over the last 48 months. Based on prior cycles, we are likely close to the bottom of this cycle but there are unique global forces at work that could hold values down longer. The gradual shift in interest from MBs of the ’50s and ’60s to emerging younger classics from the ’80s and ’90s continues. Younger buyers entering the market are typically aghast at the way some of our traditional oldtimers behave on the road. Ponton coupes/cabriolets, 190SLs, Adenauers and early 111 coupes/cabriolets fall into this category. Investment grade 107s will always find willing – and younger – buyers and highly preserved European 2.8 liter and 5.0 liter 107s are sought after as well as the venerable 560SL. I have long been and remain bullish on the younger cars and last week’s purchases reflect this: 1986 190E 16v 5 speed, 1980 450SL 38k miles, 1991 560SEC 25k miles, 1995 E320 Cabriolet 77k miles and a 1988 300CE 65k miles. Events abroad are also influencing the US market. EU political instability, a strengthening dollar (+8% against the Euro over the last 12 months), rising import fees, and a glut of unsold MB classics in Europe have dampened demand for US based MBs. Europe has always been a massive driver of our MB sales but European vendors definitely over shot the actual demand for the more popular MB models over the last few years. In the equities realm there is the notion of ‘flight-to-quality’ when investors rotate out of risky investments and into those more stable during down market times. The same philosophy applies to our hobby. I’ve always been an advocate of buying quality cars regardless of the general market conditions but it’s even more important during flat to declining markets. Today, middling examples of interesting Mercedes types are languishing unsold while the great cars defy general price trends and find homes. Low mileage, provenance, preservation and preparation are the key ingredients that set certain cars apart from the bulk of the collectible Mercedes universe. Those are the cars the I focus on. Let’s take a look at some of my sales in 2018, a year that proved to be very challenging from a business standpoint. I’m optimistic for 2019 and will keep you up to date on developments here at L.R. Spencer Co.
Investment grade 107 series SLs have bucked the general market decline. 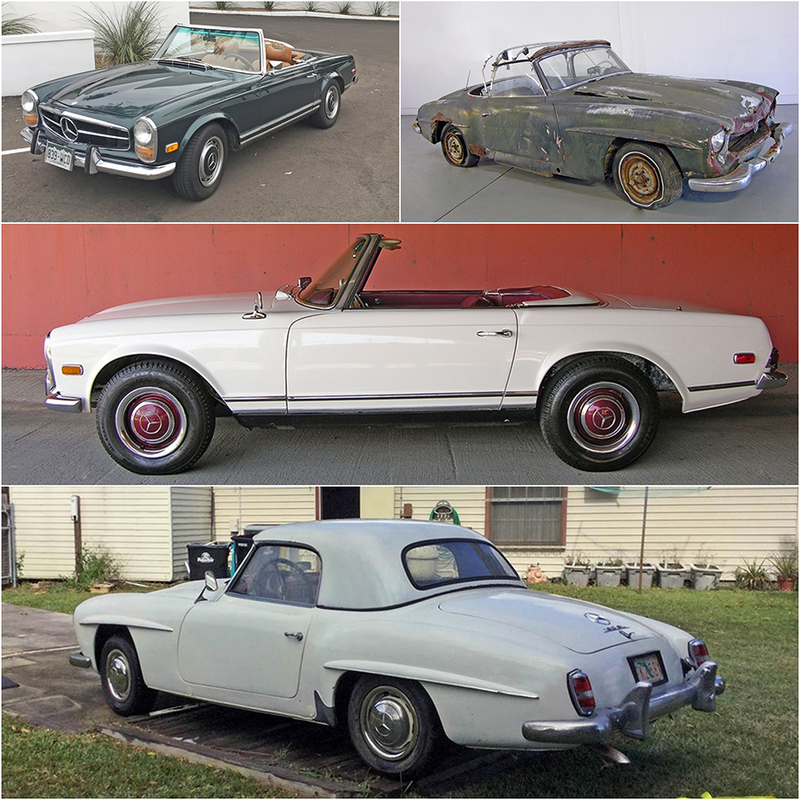 Clockwise from upper left: The single owner 1972 350SL in black/black and only 49k miles was as nice find and went to a local woman. The single owner smoke silver 1987 560SL with 14k miles went to Europe. The 10k mile signal red 1989 560SL came from North Carolina to me and then back across the nation to MA. Rare white Euro 1986 300SL also went to Europe. Short springs gave the car a nice look as do the original Euro bumpers sans guards and Euro headlamps. Cool car. 111 coupes and cabriolets still find homes but at well below recent peak prices. 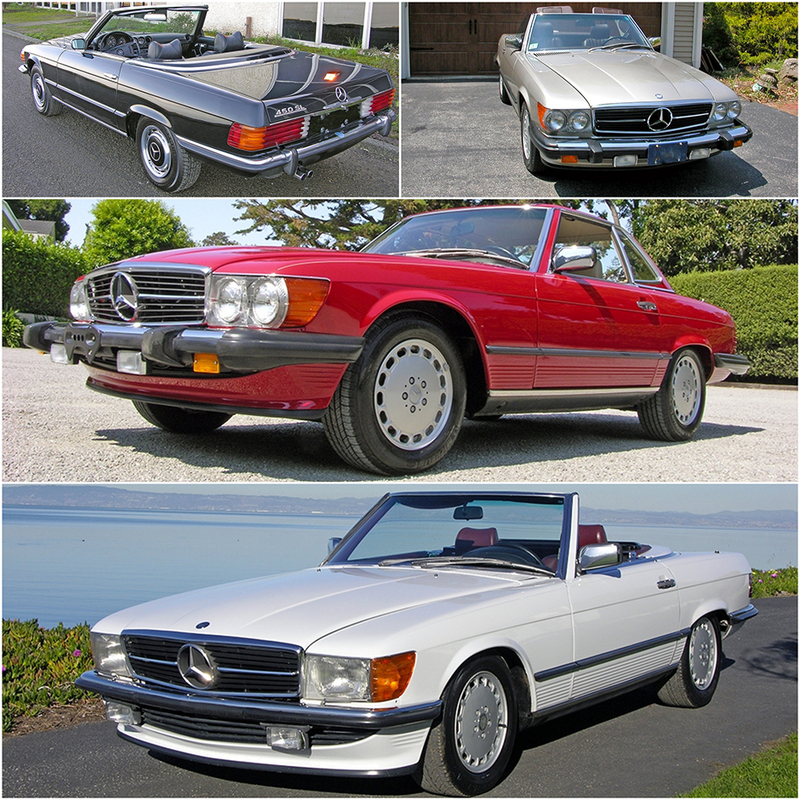 Clockwise from upper left: The arabian grey 3.5 coupe was an interesting Euro model out of San Francisco with the desirable sunroof, console automatic and power window combination. It’s being returned to its original configuration by a local client. Both the metallic blue and dark red 250SE coupes went to Europe. The pastel beige 280SE 3.5 cabriolet was a lucky find in Texas and is on its way to Europe as well. It was a Euro model owned for 43 years by the seller. I’ve sold the white 1967 300SE sunroof coupe 4 speed four times over the last 25 years and it now sits in Germany. And the factory two-tone Ivory/Havana brown 1966 250SE coupe was a car I chased for 6 years. This Euro model had one of the finest original cognac patterned dark brown leather interiors I’ve seen. Was my driver in Monterey this year. Now sits in Santiago, Chile. I rarely find 116 sedans that are worth buying but these two were particularly special. 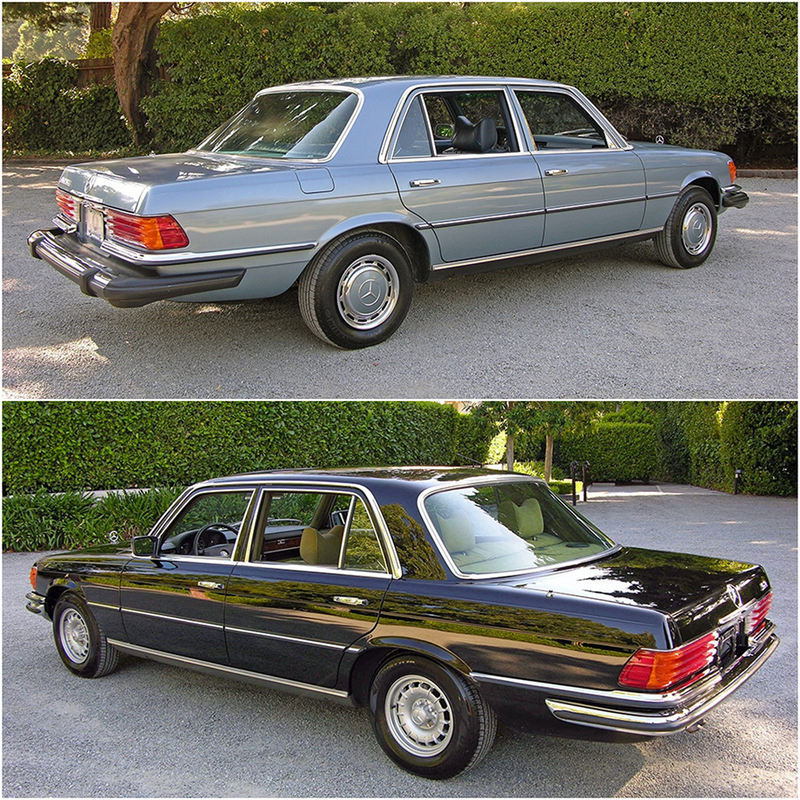 The 906 metallic blue 1977 450SEL was a mind boggling 9,600 mile single owner survivor. It looked, smelled and behaved as an essentially new SEL and now sits in Oregon. The breathtaking black/moss green velour 1976 Euro 6.9 was an exhausting project to resurrect after sitting on its belly for 37 years in the SF Bay Area. I kept writing the checks and the end result was just stunning. It now sits in the garage of a TV producer in Los Angeles. While smog compliant in CA, it still was far livelier than a full US spec car. A super quick 6.9. I have always been an advocate of SECs. I remember declaring some years ago that the time would come when these cars would be recognized for their extraordinary build quality and be meticulously restored. We’re not quite there yet but investment grade SECs, particularly 560s, are sought after cars. From the top: I thought a rare full Euro 560SEC would find favor, even an entry level example such as this two-tone grey 1990. It sold for a pittance ($9.9k) and is being turned into an AMG hot rod. The black 35k mile 1990 560SEC was gorgeous and went to a good client in Georgia. I did not completely ignore the traditional oldtmer SLs. The active area of the market for both 113 Pagodas and 190SLs is for usable drivers and projects. 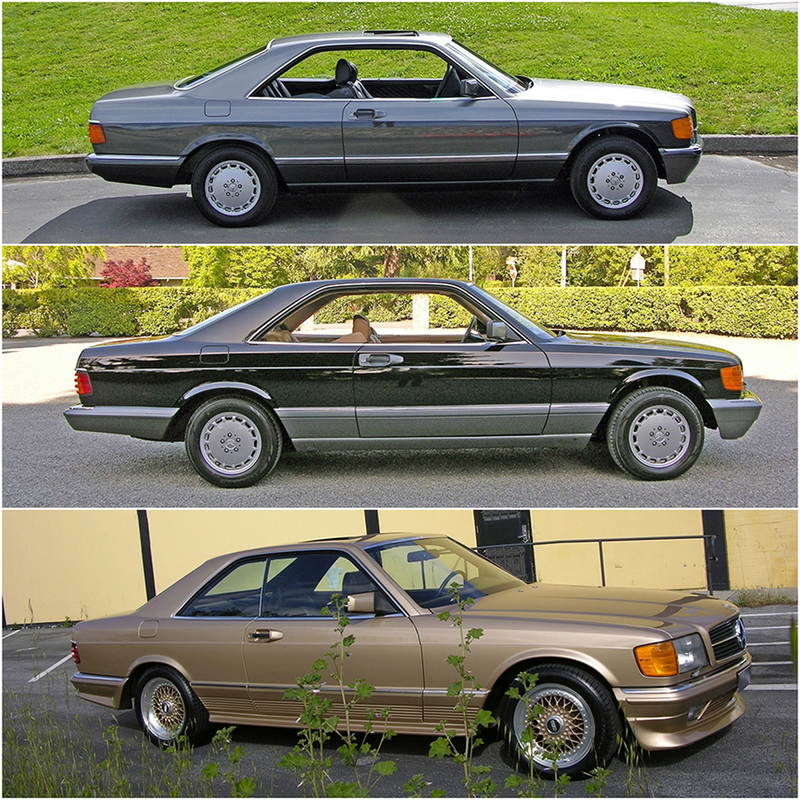 Clockwise from upper left: The color-changed green metallic 280SL was a motley driver and sold immediately to Europe. The massively distressed 1956 190SL was about as bad as it gets. It had been sitting 10 minutes from my office in a tow yard for 25 years. Sold in a day to Europe. The white entry level 230SL was an attractive driver and sold quickly to Australia. Pagoda detectives will see the incorrectly profiled replacement rear quarter panel. The non-running but complete two-top white 1957 190SL came out of North Carolina and sold immediately to Europe. Interesting 123 models will always find new owners. From the top: I’m not sure if I’ve ever owned a 280CE but this classic white 1979 was a special car. A superbly preserved 49k mile single owner sunroof car, it arrived with full handbooks and its original window sticker. Such a lovely usable car and it now sits in Colorado. A nice sunroof 4-speed 240D will always find a home. This ivory 1979 had 120k miles and was nicely preserved. My white Euro 240TD 4-spd wagon was a quirky and rare find. Nicely optioned with roof rack, 3rd seat, AC and a sunroof, it now sits back east with a prominent exotic car dealer. Exceptional 126 sedans are quite popular at the moment. While production numbers are high, investment grade examples are difficult to find. From the top: The single owner pearl black 32k mile 1988 560SEL arrived exactly as I expected. With spotless entirely original paint and spotless original interior the car went to the top MB collector in the Philippines after full re-commissioning. Pearl Grey/black is an unusual color/trim combination and this 67k mile 560SEL was particularly attractive. Sold to a 22 yo MB enthusiast locally. 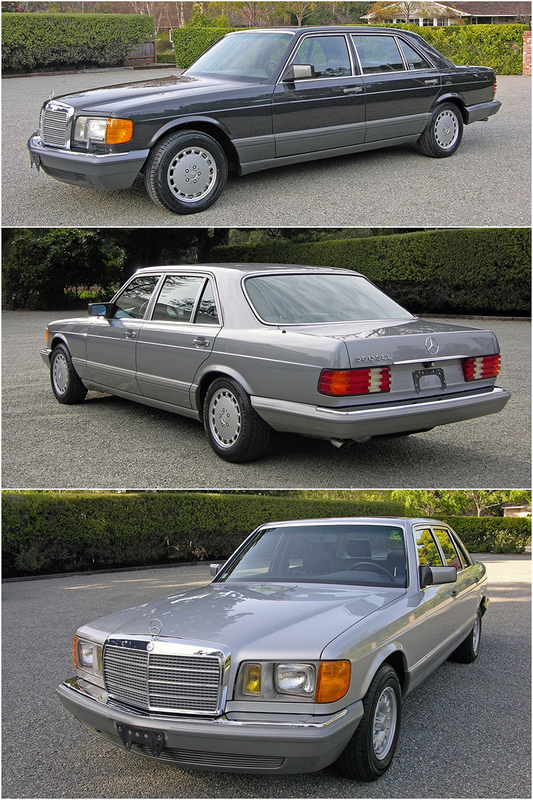 The astral silver/black 1985 500SEL was a museum quality example with only 20k miles that had been sitting for 20 years. After a massive recommissioning we sent it out to a client Philadelphia. All such nice road cars. Despite being a generally unloved generation of SL, I will always invest in exceptional 129 series SLs, even V12s. They remain undervalued and a high caliber example is an effortless high speed touring car. Build quality is just superb and well kept cars offer fairly inexpensive operating costs. From the top: My 57k mile black/black 1990 300SL 5-speed was a collectible young classic. The ‘dog leg’ manual gearbox transforms the car into a lively roadster with the opulence of an Aston Martin. Fabulous car and very few imported to the US. The silver 2001 SL600 had but 21k miles on the clock and generally appeared unused. These twelves move down the road in an otherworldly fashion. 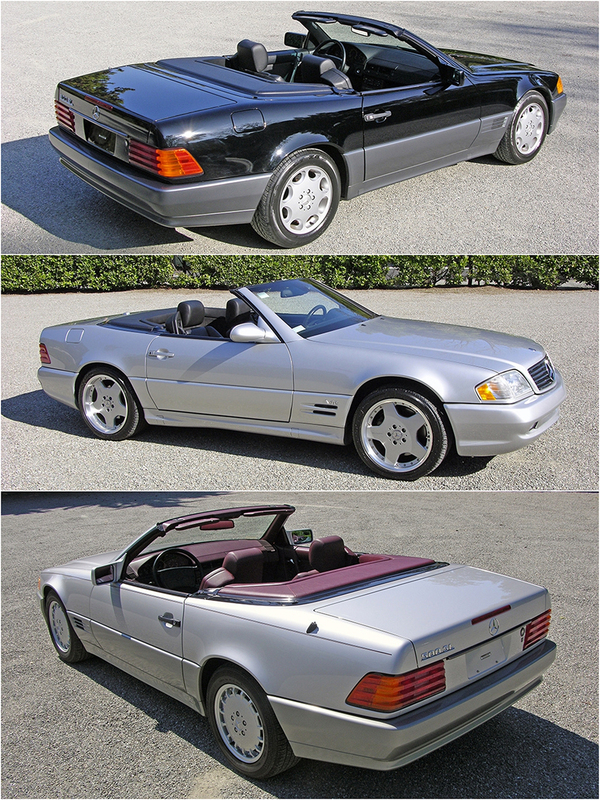 Mercedes stood the luxury convertible world on its ear when they introduced the sophisticated 500SL in 1990. My astral silver/burgundy 1990 had only 18k miles on it and appeared as it left the showroom when new. 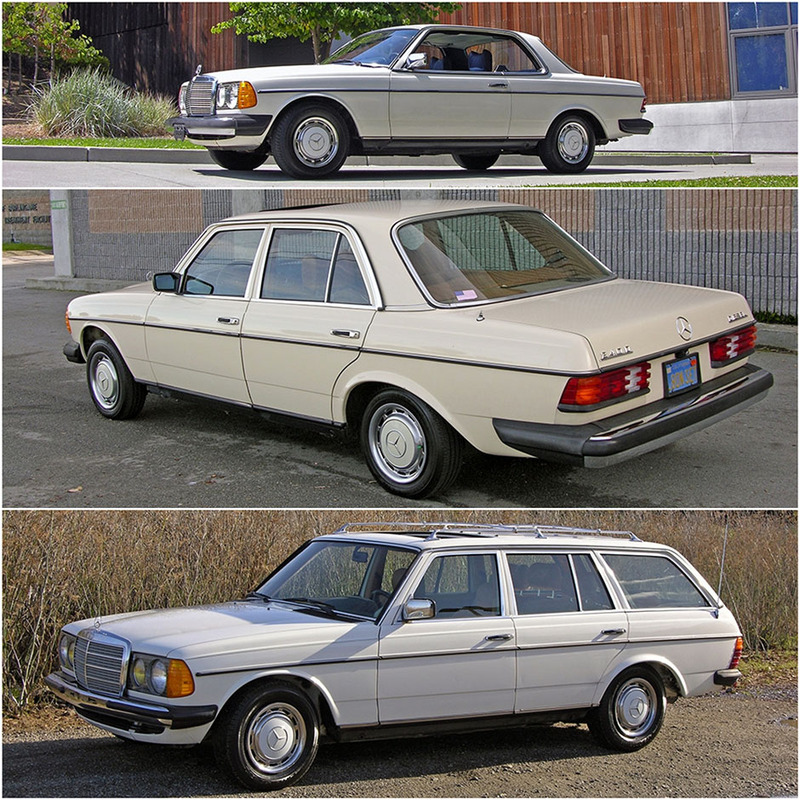 The buyer from Michigan had a twin – same year and color/trim – but with 200k miles on it. He simply wanted to start over again with essentially the same car! From the top: For some reason I always do well with Adenauers, whether they’re non-running projects, drivers or show cars. This black 1953 300b had massive charm and still some original paint. It had been languishing in Wyoming but was a runner with excellent panel fit and generally none of the infuriating loose ends associated with these 186 series limousines. Now resides in Poland! V8 108 sedans do find clients as a good one is a rewarding car to drive. I sold this 181 Beige ’72 280SE 4.5 20 years ago and bought it back last year. Now resides in Kenosha, WI. 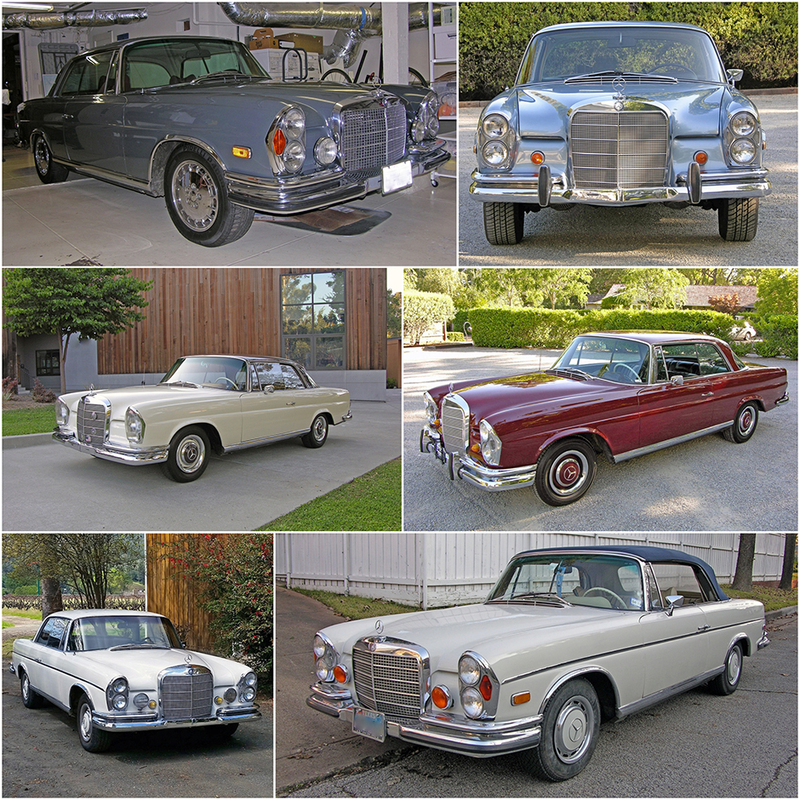 Roy: it is always a treat to hear from you with the news, technical detail, and market analysis on our beloved classic Benz cars. Thank you. This newsletter was especially intriguing in review of 2018 – this, to see what is moving out there in the collector Mercedes-Benz market and just where these gems are landing. By the way, that 181 beige ‘Blondie’ W108 280 SE 4,5 is residing very well in Kenosha, Wisconsin. She is awaiting some freshening of her Bosch D injection components plus routine maintenance in preparation of a retirement road trip. After all, that is what these well-engineered machines were designed to do in my opinion .. to be driven. I can’t wait to get to know the personality of this special saloon after hours, days, and weeks in the saddle. Once again, thank you (and the L.R. Spencer Co) for making this life-long dream possible.